Liverpool defeated struggling Stoke City at the Bet365 stadium with substitute Mohammed Salah scoring twice. The Premier League match on Wednesday was never in doubt for a Liverpool win but Stoke never offered anything like a resistance. Senegalese forward, Sadio Mane gave the Reds the lead on 17 minutes with a neat finish over Lee Grant after being set up by Dominic Solanke. The game saw its first controversial moment after Simon Mignolet took out Mame Biram Diouf on the edge of the box. The Potters felt the Belgium number 2 should have been sent off but the referee awarded only a yellow card. Former Liverpool man, Joe Allen had two chances to equalize in the second half. When Egyptian maestro, Mohammed Salah entered the fray in the 67 th minute, Stoke knew they had to stop the former Chelsea man. That, though was an exercise in futility as the winger netted twice in the space of six second half minutes. First, he took down Mane’s ball from the right before unleashing a sweet volley from 12 yards. The league topscorer registered his 2 nd just moments later after capitalizing on an error from Erik Pieters to slot pass Grant. 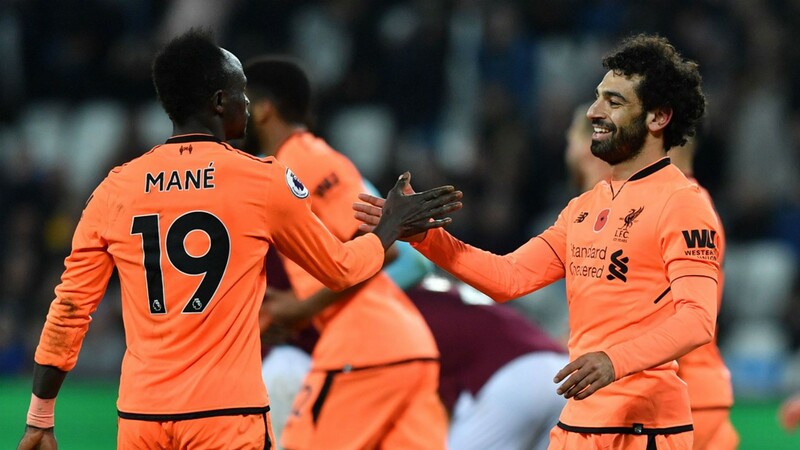 Liverpool boss, Jurgen Klopp used the game to rest a number of his more established first team stars, as the likes of Solanke, Lovren, Can, Wijnaldum, Mane and Firmino coming to the first team. For Stoke, the pair of Kevin Wimmer and Ramadan Sobhi were replaced by Martins Indi and Peter Crouch. Liverpool move up to fifth on the league table, while Stoke move closer to the relegation zone on 16 th position. Liverpool have lost just one of their last 10 league games, winning four and drawing four. English youngster, who is tipped to reach the very top registered his first goal involvement in English football.